We first met Dominique Belluard when we were lucky enough to attend a small, private tasting of Savoie biodynamic wines from some of the top producers in the area and the white wines made by Dominique near the village of Ayse were a standout of the tasting. These are pure, elegant wines of great complexity and finesse. We know that you will love them! This domaine practices organic and biodynamic viticulture, uses no pesticides or herbicides in the vineyard and no additives in the winemaking process. The grapes are fermented using only the naturally occurring yeasts. The vineyards which Dominique tends so carefully lie in an old glacial valley where the rocks were ground down by the constantly moving ice to form iron-rich soils (the name of one of his cuvees is Le Feu). A lovely sparkling wine made from 100% Gringet, a traditional grape of the Savoie region. Dominique is a master of the art of making sparkling wine and his wine shows that complex, fresh, mineral-driven sparkling wines can be made outside the Champagne region. This wine is left for two years on lees before it is disgorged thus adding to the complexity of the wine. It displays both finesse and minerality and can be drunk as an aperitif or throughout a meal and even with dessert if required. It is a fine sparkling wine. The alcohol level is 12.5%. They make lovely still wines from Gringet, but it’s the bubbles that really turn me on. Dry, delicate and engaging, it has tight, tiny bubbles and is aromatic of quince, flowers, and stone fruit. Gringet is an archaic grape variety that deserves, I think you will agree, to flourish once again. 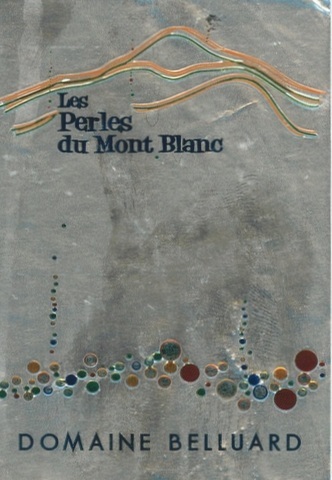 Les Perles du Mont Blanc is an exciting and esoteric bottle of wine that shows the capabilities of Gringet. On the palate it is rich, honey-tinged with dried white flowers, golden plums, and green apple matched with a bracing acidity. Serious enough for the geeks, but perfect for everyone. This sparkling gem is poured at a number of leading restaurants throughout Australia. A lovely sparkling wine made from 100% Gringet, a traditional grape of the Savoie region and nominated as a grape for sparkling and still wines in the Vin de Savoie Ayse appellation. It displays both finesse and minerality and can be drunk as an aperitif or throughout a meal and even with dessert if required. It is a fine sparkling wine. This wine is matured for longer than the standard Brut. Made from Gringet grown at 450m in elevation, this is serious stuff. It spends three years on the lees which results in a rich and textured wine, with delicate aromatics. Orange blossom, pear skin, and granny smith apple rise from the glass, while the palate is much more mineral. It is quite powerful, and would give any Champagne a run for the money in terms of complexity. Dominique Belluard is well known for making clean, elegant, expressive white wine from the rare Gringet grape. However, he is constantly restless and has a deep, enquiring mind which makes him seek new challenges and explore new (old?) techniques in winemaking. 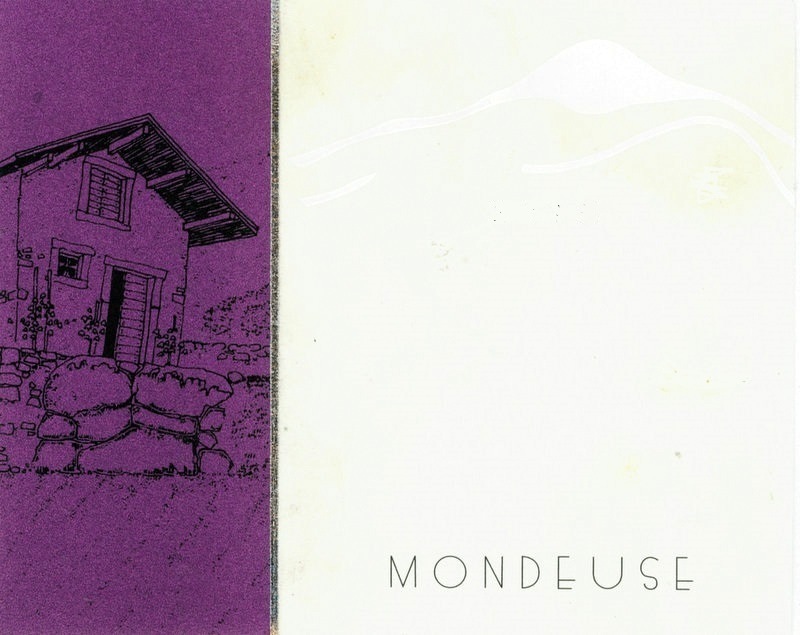 He also has a small parcel of the red Mondeuse grape variety in his Ayse vineyards. Although he used to make this wine in amphora, this vintage he has changed back to his beloved concrete eggs which stand about 8 feet high. The grapes are hand-picked and 70% of the harvest was destemmed and the remainder whole bunch. It was left on skins for five weeks, which is a long time, but the results show that it was a good call by Dominique. This wine is silky and supple with a beautiful mouthfeel. However, the total allocation for Australia of this vibrant wine is only 24 bottles, so first-come, first-served for this one. This is a rare cuveé that you will not even find on the Belluard Web site. It was made in a “concrete egg” and no sulphur was used at any stage for this wine. It is therefore a pure expression of the Gringet grape – hence the name. This is a truly lovely wine displaying the great finesse of the white wines of this now famous winemaker. 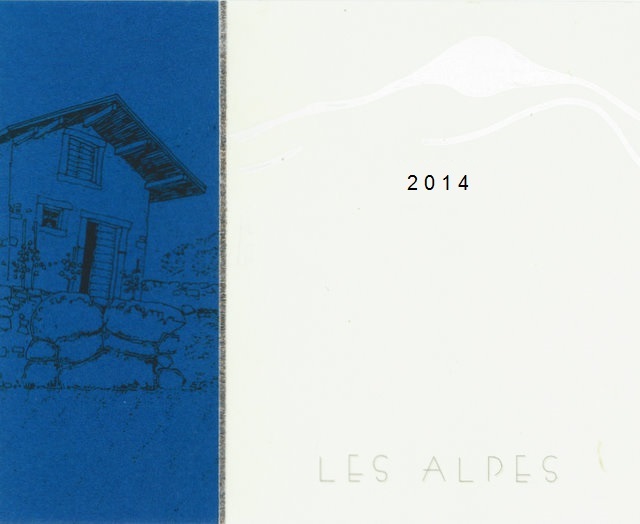 It was fascinating to try this wine against the wonderful Les Alpes. This was also raised in concrete eggs from grapes picked from the same vineyard as Pur Jus and treated in exactly the same way. The only difference is that the Les Alpes had a very small amount of suphur added to the juice in the concrete egg before bottling whereas the Pur Jus egg had none added. We held a number of tastings in Melbourne and Sydney and showed both wines and the difference was remarkable. 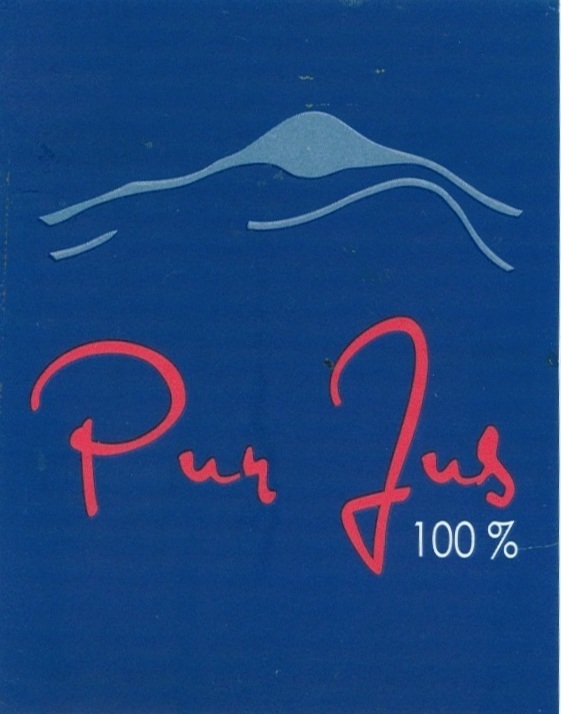 The Pur Jus exhibited all of the elegance of the Les Alpes and the same depth of flavour, but it was just so much more lively and expressive! This beautiful white wine is made from 100% Gringet, a traditional, indigenous grape of the Savoie region. Although this grape is sometimes said to be a variant of Savagnin that thrives in the nearby Jura, it has been clearly demonstrated through DNA analysis that there is no relationship between the grapes. Gringet is commonly used to make sparkling wines in this area but the Belluards also craft fine, elegant white wines such as this from this grape that thrive in the calcareous glacial moraines that line this valley. Grapes from two parcels are used for this wine. The first parcel close to Dominique’s house has a base of marl and the other is rich in limestone. The grapes are directly pressed and the juice is fermented with only indigenous yeast in several concrete eggs where it stays for about 6 months. The contents of all the eggs are then blended in stainless steel tanks prior to bottling. A small amount of sulphites are added at this stage. The alcohol level is 12%. Here is what Christophe Guitard, founder of Ochato.com, has to say about the sensation of tasting a Savoie wine like Domaine Belluard’s Les Alpes. The Le Feu is perhaps our favourite of this stunning line up of wines. 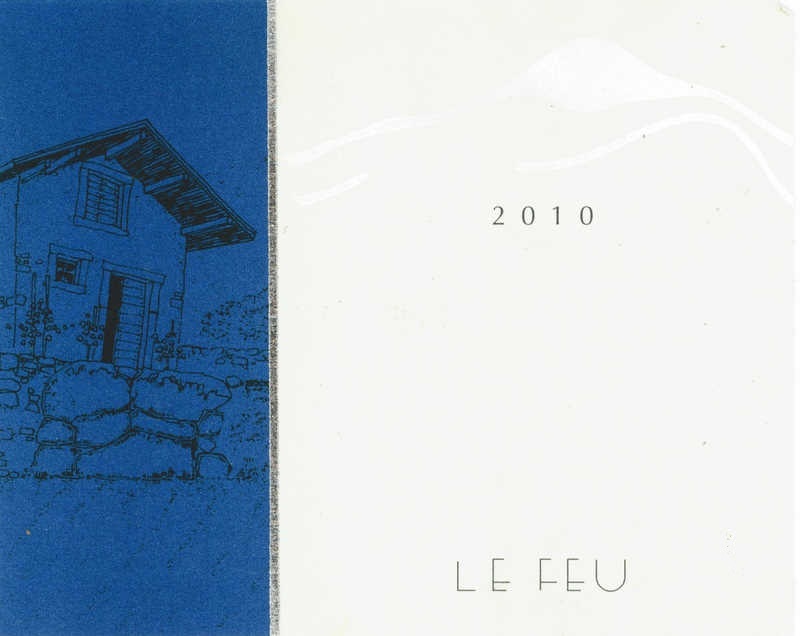 It is particularly elegant and refined with the late-maturing grapes being selected from very old, low-yielding vines in the Le Feu vineyard which has very steep slopes. The vines grow in iron-rich clay soils at 450 metres above sea level. The alcohol level is 12%. There are floral and fruity elements on the nose, and in the mouth you will detect citrus fruits and white peaches with a minty note that gives it freshness and minerality as well as refinement and balance. This vintage marks a change for Dominique Belluard because he has now achieved his ambition to ferment his best wines in concrete ‘eggs’ – large ovoids that he believes allow the fermentation to proceed in a more harmonious way. This wine teams well with all types of seafood but also goes very well with chicken and quail and a range of fresh cheeses. This elegant white is made from the local grape called Altesse or, sometimes, Roussette de Savoie. The vineyard from which this wine is made is relatively young and lies at an altitude of 350 metres above sea level. The grapes are hand-harvested and fermented naturally. The alcohol level is 12%. 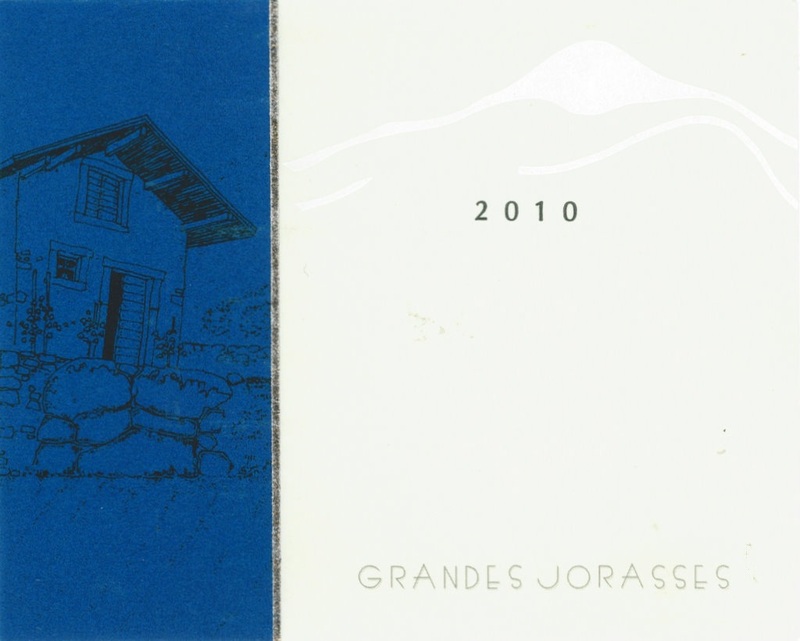 It is named after the Grandes Jorasses mountain – one of the highest peaks in the Alps. We recently drank a 10 year old bottle of this wine and it was stunning!